iPhone SE is a product of the renowned company Apple which has had sustainable sales over time in the mobile industry. Apple Company witnessed the decrease in sales due to emergence of its big competitors like Samsung and Sony. The introduction of iPhone SE into the market in March 2016, has changed the market perspective, which has led to high demand exceeding the supply of the device. Despite the risk taken by the company to release the 4-inch device, the sales have been growing enormously. People have been used to big screen devices more than 4-inch but iPhone SE brought a whole new perspective. As at now there are no delays of the devices in the online Apple store. There is an ultimatum of three weeks wait time for all types of SE in the store. The order levels have risen beyond the supply of the product. The low price and convenience has boosted the sales of the device in most parts of the United states. Additionally, the SE has many features these offered in iPhone 6 and iPhone 6S. The typical features include Fingerprint Touch ID, high speed processor and Apple Pay (Cho, Kumar & Telang, 2016). In accordance with super-talented and most experienced economists, ‘Supply means the actual amount of products available momentarily for the users in the market’. On the other hand, demand refers to the ability and the willingness of the seller to avail a given amount of an item or a product in the market at a specified period of time. 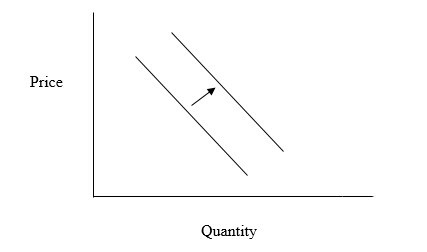 The price of a commodity is vital to the quantity demanded and supplied to the market. 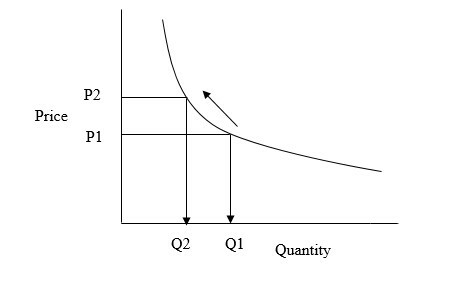 According to Ehrenberg & Smith (2016), the price of a commodity reflects the shortages and oversupply, which enables organizations to respond to the dynamic market conditions thereby lead to an effective distribution of resources. The price of iPhone SE came into the market at a lower price; this prompted the increase in demand for the product across the globe due to the affordability of the gadget. On the other hand, due to increased demand, there was a decrease in supply considering the number of Apple distribution stores across the globe. Moreover, it takes more time to manufacture the devices. When the price of a commodity increases, the manufactures will take advantage of the prevailing prices in the market and try to supply more to gain a huge profitability. The two aspects pull each other until an equilibrium price is reached (Ehrenberg & Smith, 2016). iPhone SE is built on latest technology just like iPhone 6S. Consumers tend to be attracted to latest technology they can access. When an item is developed under latest technology, the demand will increase. The youth is mostly attracted to the new technology, unlike the older generation. In the supply perspective, new technology increases the supply of the product. Apple Company embraces most advanced and latest technology in their manufacturing. The equipment used are advanced, and most work is done by robots. Hence, the production throughput remains high throughout the year. Many other mobile companies such as Samsung and Sony have produced many varieties of mobile phones at lower prices with almost the same specifications. This has caused many consumers to shift to the other substitute products due to the prices. The price of iPhone SE is $399 while the price of Samsung mobile of the same specifications cost $345. People will opt to buy Samsung unlike iPhone SE due to the price difference. They both offer the same services hence consumers will tend to go for the product that will enable them get the same services at lower prices. Many states regulate the operation of foreign companies in their countries. Import duties and other charges tend to discourage the operation and supply of goods and services in countries. Countries that have strict regulations and high import duties will witness less supply of certain goods hence the prices of the products will tend to rise due to the cost of the goods. Depending on the nature of the goods the demand will either rise or remain the same. On the other hand, countries with less restrictions witness oversupply and hence decrease in the prices. Having classy mobile phones is a luxury after meeting the basic needs. People with a high amount of disposable income tend to buy luxurious items to satisfy their wants. Mobile phones with additional features other than the basic features such as Skype, games, and other application are more of luxury. Consumers with high income tend to have high disposable income hence have the ability to purchase expensive mobile phones. People with low income tend to meet their basic needs first before buying such items. Demand rises when consumers have high disposable income. Even when the prices are high, the demand may rise due to the nature of the products. 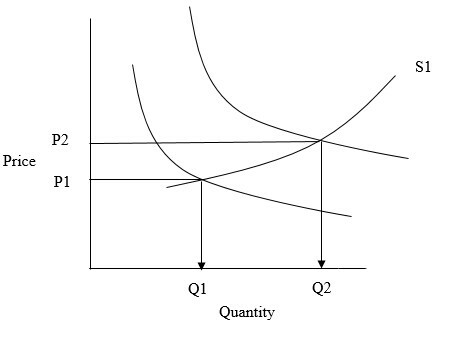 When the prices of the complementary goods fall, increases the demand for the product. If the browsing and other subscription charges decrease, it will lead to increase in the demand for the product. iPhone SE has several subscriptions and other applications to be installed. If the charges are low, it will increase the demand for the device since the usability will be much easier (Kotler, Burton, Deans, Brown & Armstrong, 2015). Conclusively, the introduction of iPhone SE into the market in March 2016, has changed the market perspective, which has led to high demand exceeding the supply of the device. The risk taken by the company to release the 4-inch device, the sales have been growing enormously. People have been used to big screen devices more than 4-inch, but iPhone SE brought a whole new perspective. The price of a commodity reflects the shortages and oversupply, which enables organizations to respond to the dynamic market conditions thereby lead to an effective distribution of resources. Demand and supply determine the existence of a commodity in the market the pull between the two aspects will lead to an equilibrium price. Cho, D., Kumar, A., & Telang, R. (2016). IExclusivity: An Effect of iPhone Exclusivity Arrangement on Demand for Smartphones. KAIST College of Business Working Paper Series, (2016-004). Ehrenberg, R. G., & Smith, R. S. (2016). Modern labor economics: Theory and public policy. Routledge. Green, K. W., Whitten, D., & Inman, R. A. (2012). Aligning marketing strategies throughout the supply chain to enhance performance. Industrial Marketing Management, 41(6), 1008-1018. Kotler, P., Burton, S., Deans, K., Brown, L., & Armstrong, G. (2015).Marketing. Pearson Higher Education AU.